Wrap yourself in the unbelievable softness matt satin lace robe. It is the best bridesmaid gifts for the bride and bridesmaid squad. This romantic lace robe is embellished with delicate floral pattern knitted lace. 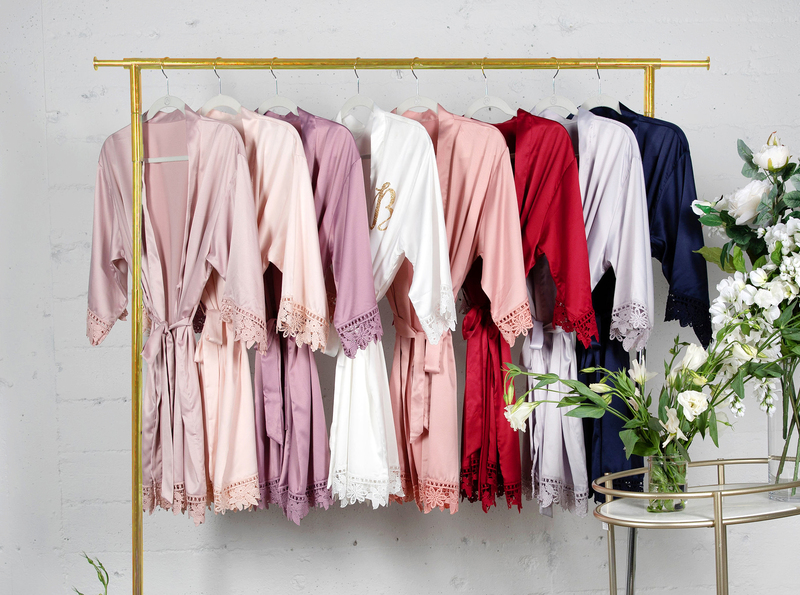 The lace is dyed to match the robe color, which makes your mornings and evenings a little bit sweeter. Whether you're just getting married or you're unwinding after a long day, this beautiful hand craft robe is the perfect way to keep you comfy and happy.Turn it into the best bridesmaid robes and getting ready robe by adding a touch of customization such as glitter title on every robes of this lovely lace robe!